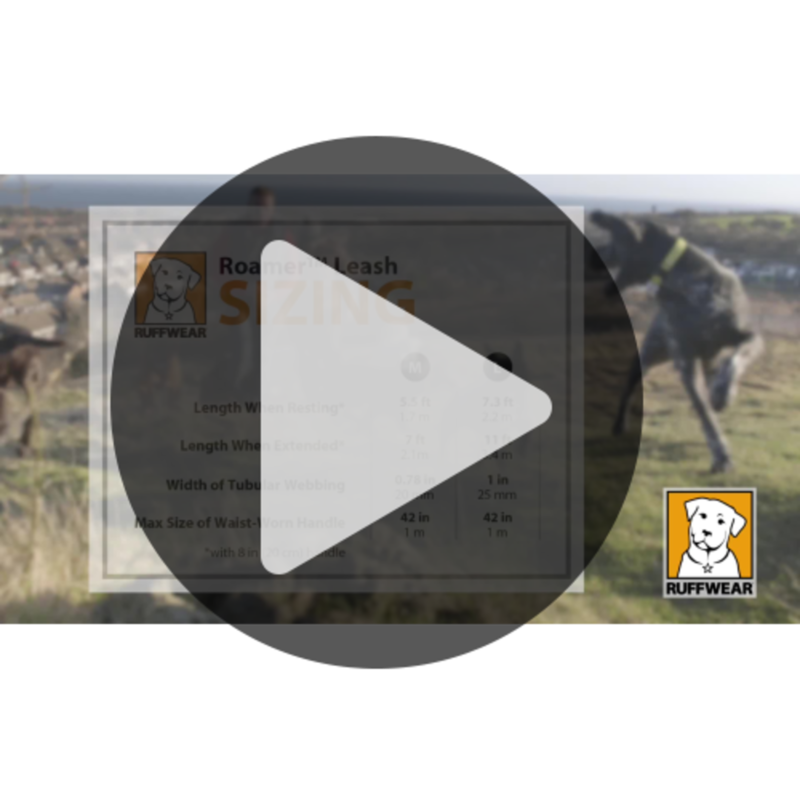 Ruffwear's Roamer Leash is a durable, extending dog lead that can be hand held for a trot round the block, or worn on the waist for jogs or even runs through the great outdoors! 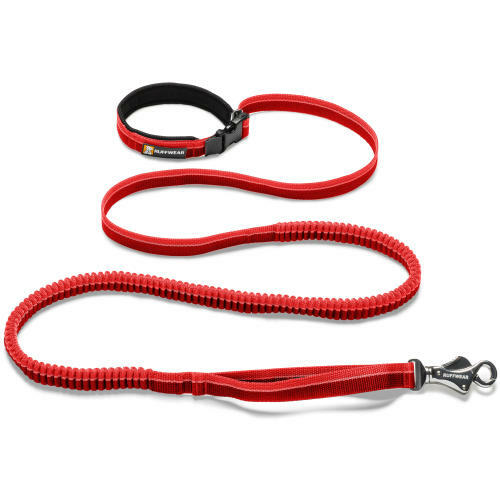 Made with Ruffwear's very special "Wavelength" fabric which expands and contracts as necessary, the Roamer Leash features a padded and adjustable handle for your comfort and convenience. With a handy accessory loop for clip-on items, and featuring a traffic handle to help you stay in control as well as a sturdy aluminium Talon Hook, Ruffwear's Roamer is a lead you can rely on. Size: Length at rest - 2.2m, Length fully extended - 3.4m, Width - 2.5cm, Maximum circumference of waist worn handle - 1m.